Dreadful Joy -- A. 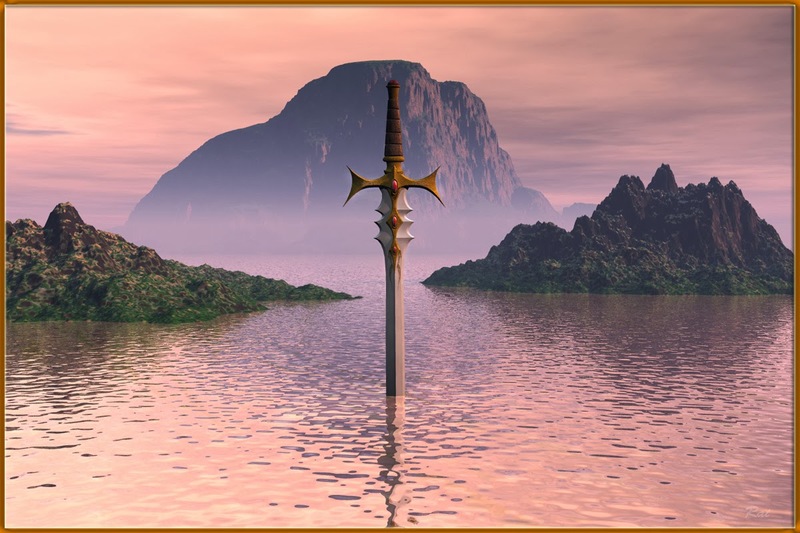 A. Attanasio: Study Questions for "The Serpent and the Grail"
The story of King Arthur has been around for a thousand years and in many variations. Do you think the author is justified in creating yet another adaptation of this renowned legend? The fourth volume of The Perilous Order of Camelot reveals that the narrator of this series is Rna, a clan woman 90,000-years-old and eldest of the Nine Queens of Avalon. Does her supernatural perspective make the narrator more reliable or less? In what way is The Serpent and the Grail about our physical humanity? In what ways do the themes of carnal hunger and standing upright come together in this story? "Why must any of us live at all?" The Furor nodded, satisfied. "I will tell you. You are a Roman woman, and you will not understand me. I will tell you anyway. We live so the stars can caress us. We live so that when we do perish the earth can receive us into her sweet home. Yes, the earth that you call dirt is holy, and she is sweet. Certainly, the world is cold, and we are its warmth. Who kindled this fire in us? Know that and you will understand why the animals share their wisdom with us: They curry our spirits during the hunt so that we may wear their skins proudly and eat their flesh with joy. Joy! Do you hear me? Joy. That is the location of life. Whatever happens, the one, simple truth of life remains always unchanged. All our troubles and all our pain are always pathways back to joy." Aquila Regalis Thor—Arthor—accepts the variant spelling of his name, Arthur, put forward by his enemy, King Wesc. The Saxon king had taken offense that the Aesir god Thor’s name had been identified with a foe of the Foederatus. What does this tell us about the character of Arthur, that he willingly changes his name to avoid insulting his enemy? Is this act of renaming himself valorous—or a craven attempt to appease a fierce adversary? Is the Christian faith respectfully presented in this series? What are your thoughts about the unorthodox representation of angels and demons as Fire Lords and Dark Dwellers in the House of Fog? This series presents God as a female. How meaningful or gratutitous is that? Do the scientific concepts in the series enhance the story or distract from the narrative? On high, verdant promontories, waterfalls fell in quicksilver threads that never reached the ground: These cascades blew away from craggy cliffs in wild vapors and broken rainbows, disappearing in the air like a story that brims into nothingness on a book's last page. As the last line of this novel, the tense shifts into the present: Why? "’Lord, how long will the wicked, how long will the wicked triumph?' I will answer that Psalm's question for you Athanasius. So long as humans thrive." Is Loki correct? Is evil an inherent part of human nature? Attanasio and Athanasius are the same name at root. Is the author placing himself in this novel? If so, why? Is his presence as Athanasius meaningful or could this character have had a different name without affecting the story? How does this fourth volume compare to the other three? The Perilous Order of Camelot is set in Roman Britain, five hundred years before the usual depictions of King Arthur and his Knights of the Round Table. In what ways does the historical accuracy of this fantasy series contribute to the legend? Did any of these characters seem real? Or are they all mythic figures? Would you like to see this series continued? Or do you consider these four volumes complete? What aid is the narrator requesting from you? Why does the author move the story off the page and into the reader’s life? Is this effective storytelling? How does hidden sickness and sin become sacred in this thousand-year-old legend?